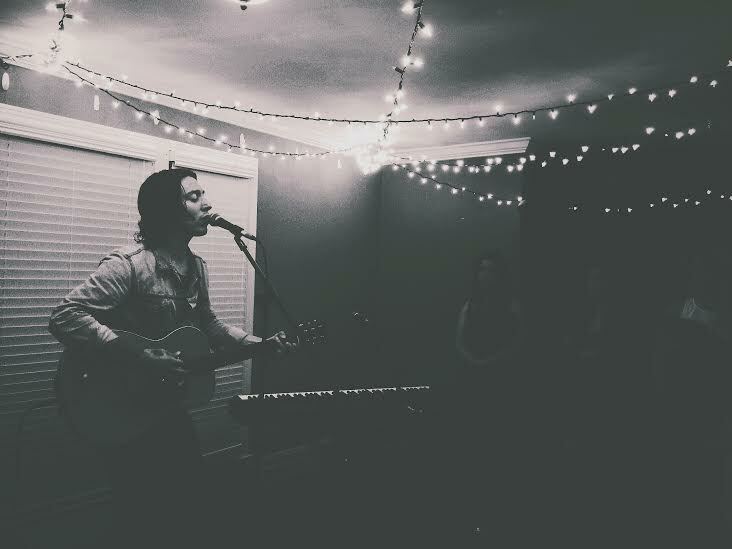 Earlier this spring, Cause A Scene was fortunate to welcome our friend Noah Gundersen back to Nashville for our second house show with him in the past year. The first show in East Nashville was one for the ages with more than 200 people nestled into a cozy backyard with a campfire flickering on a perfect fall night. Our second show with Noah, however, topped the first as it was back at Cause A Scene HQ with Noah’s sister, Abby, and Armon Jay accompanying him and bringing even more life to Noah’s charming, intimate performance. Our insanely talented friends at Back Down South Films, based in Birmingham, Alabama, were kind enough to come to Nashville for the week and chronicle the show. The results are simply mesmerizing, perfectly capturing the beauty of that night. Check out the exclusive videos of “Isaiah”, “Ledges” and an unplugged version of “Cigarettes” (in the middle of the packed house no less!) below. A huge thanks to Noah, Abby, Armon Jay, Erin Rae, the Cause A Scene volunteers, and for the incredible past-capacity crowd for making this night in April one that will stay in our memories for decades to come. An extra special thanks to the guys at Back Down South Films for filming the show and making sure we’ll be able to relive that night over and over again online. We look forward to many more of these once-in-a-lifetime type nights in the months and years to come with the Cause A Scene community. 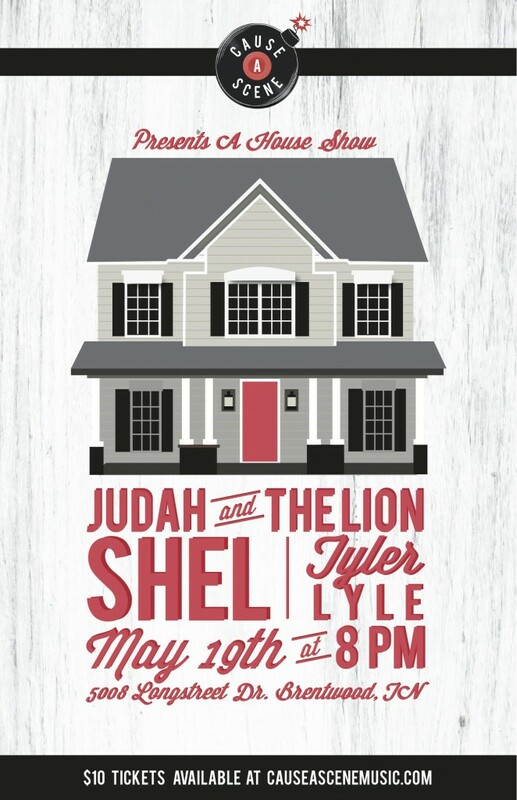 I learned something really early on in my friendship with Nashville’s newest Americana-folk buzz band, Judah & the Lion: When these guys play a show, people show up en masse. When I booked them for a showcase in January, I had no idea what to expect from the show. I had heard their first EP, First Fruits, and enjoyed it, and had heard buzz around Belmont’s campus, but on that warmer-than-usual mid-week night in January, nothing could have prepared me for the 250+ people that packed into Red Earth Trading Co’s pop-up shop in Hillsboro Village for an old-fashioned big tent revival. 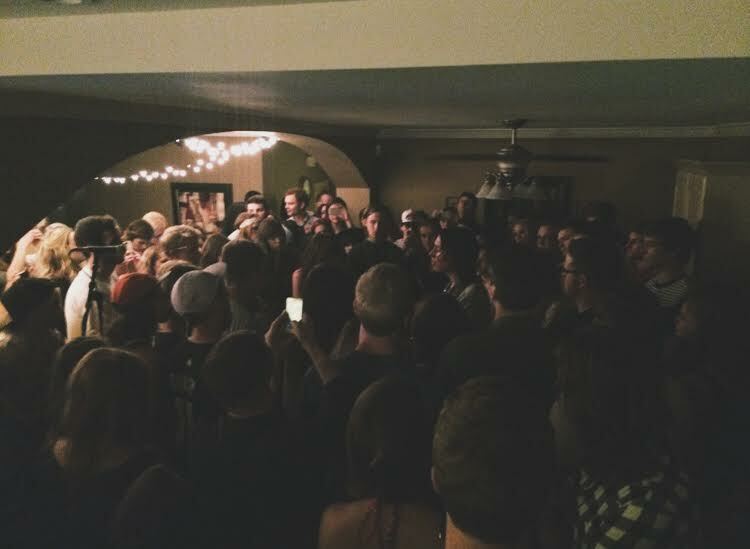 After curating nearly 30 shows over the first year of Cause A Scene, we had our fair share of bands play our shows. Judah & the Lion on that night seemed to transcend them all, with a sound and performance that made it seem impossible for that show to really be one of the very first shows they had ever played. Since then, I’ve seen them garner quite a bit of attention and well-warranted praise from their latest EP, Sweet Tennessee, with the six-track album rising to #1 on iTunes Singer/Songwriter charts and breaking the Top 25 overall on the same platform. This week, Judah & the Lion released their brand-new video for the title track of the album, and it seems to simply reinforce the magic that this band has on stage and the fact that wherever this band plays, crowds tend to show up and fill the room. It’s a trend that shows no signs of changing anytime soon. If you’re in Nashville, there’s a few chances to catch the band live, first at the Americana Music Festival in mid-September, again at Musician’s Corner in Centennial Park on October 12, and finally in November opening for Drew Holcomb & The Neighbors at the Cannery Ballroom. Something tells me that the vast majority of the fans and friends in this video will be at all three. Come join us tomorrow night back at 5008 Longstreet Dr. for house show that is sure to ring in the oncoming summer season. Headlining the evening is Nahville-based folk trio, Judah & the Lion and their band. 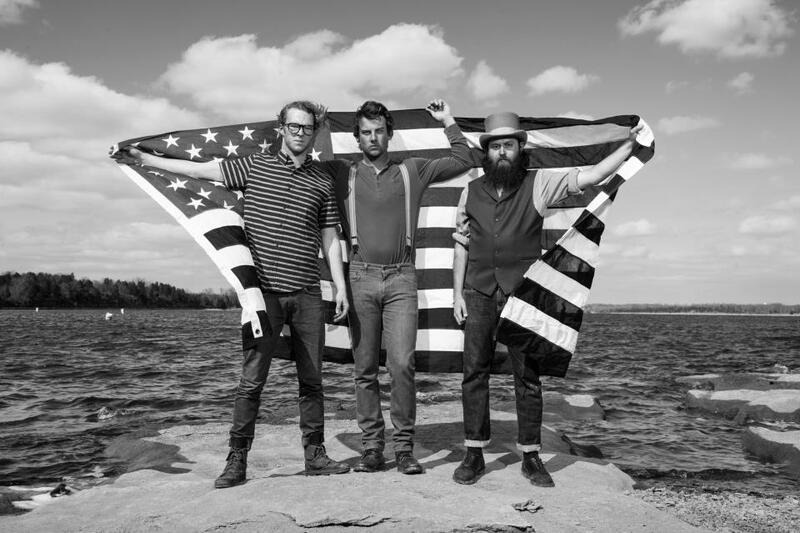 Fresh off the heels of the release of their second EP, Sweet Tennessee, singer Judah Akers, banjo player Nate Zuercher and mandolinist Brian Macdonald are quickly making waves among the americana-folk scene, only having formed the band in December of 2011. With a blend of roots-based folk instrumentals and raw and grounded lyricism, Judah & the Lion aim to provide honest and relatable music for all who care to listen. Adding to the fun, we are privileged to bring you two cross-country acts, who are garnering big buzz nationwide. SHEL are a folk-pop quartet from Fort Collins, CO comprised of sisters Sarah, Hannah, Evan and Liza Holbrook. Having just released their first full length album, self-titled SHEL in 2012, the Holbrook sisters are no strangers to Nashville, having played Music City Roots and other local venues. From even further west comes California transplant and singer-songwriter Tyler Lyle. 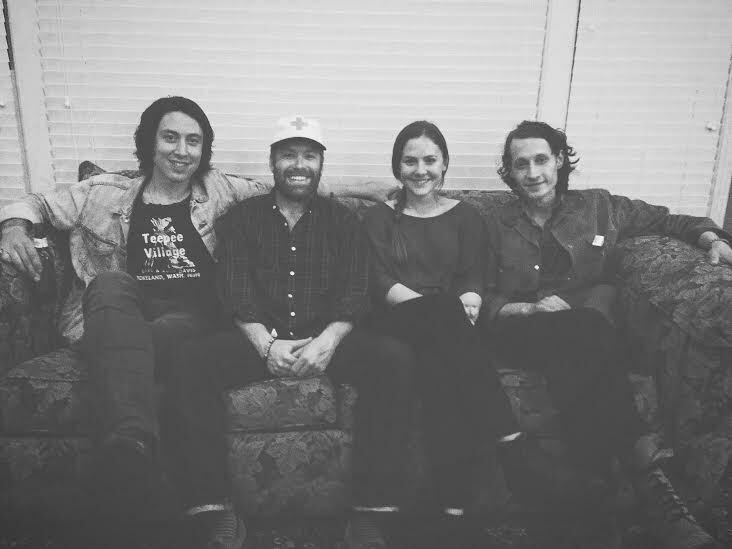 Originally form Atlanta, GA, Lyle possesses a folk-pop sound reminiscent of the south. Tyler comes to Nashville on the heels of the release his Expatriates EP, his follow up 2012 full length album, Golden Age & Silver Girl. Tickets for Sunday’s show can be purchased here for $10. Join us this upcoming Monday, back at 5008 Longstreet, for an evening to remember. 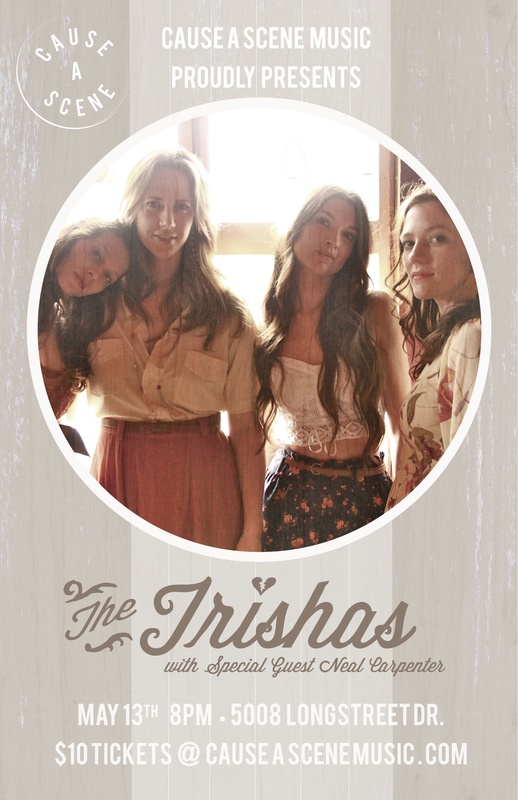 Cause A Scene is proud to be hosting Austin’s The Trishas, a four-piece unit comprised of Jamie Wilson, Liz Foster, Kelley MickWee and Savannah Welch. Each of the four lend a vocal singularity that melt together to form twisting harmonies, giving nods to blues, folk and bluegrass, creating a sound and musical identity that has become a must know throughout Texas, and for beyond. Starting out the evening on a high note, we will be privilege of hearing from fellow Nashvillian, Neal Carpenter. With a pair of such talent, Monday evening will surely be a lineup not to be missed. Tickets can be purchase here in advance for $10. Tickets will also be available for purchase at the door.